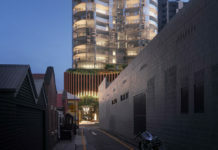 Brisbane-based tech company NextDC has submitted plans for a new data centre located at 454 St Paul’s Terrace in the Fortitude Valley. The site had previously housed the head office of QT Mutual Bank and was acquired by NextDC through a $75 million investment which includes land, building and associated infrastructure for over one year as well as support for up to 300 jobs. 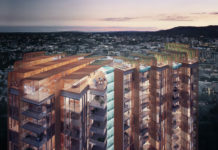 NextDC conducted due diligence on several sites however the company selected 454 St Pauls Terrace, Fortitude Valley as their newest data centre due to the site’s close proximity to a major electricity substation, telecommunications and public transport infrastructure. 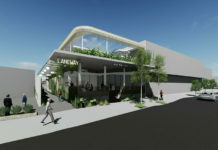 The new facility will be NextDC’s second data centre for Brisbane. NextDC which listed on the ASX in December 2010 has experienced 238.5 percent growth and now has more than $60 million in annual revenue. An additional milestone was reached in 2015, with the company signing a $35 million contract with the Federal Government to provide data centres over the next six years. The demand for data continues to boom due to the growth of mobile and video internet use as well as the shift to cloud-based data storage, meaning the requirement for conveniently located, purpose built data centres rather than a potential option for private or public enterprises. The national head office is located in the heart of Brisbane City, on Creek Street. Additional facilities are located in Brisbane as well as Melbourne, Sydney, Perth and Canberra. 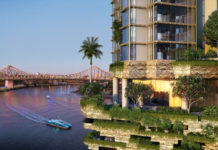 NextDC CEO Craig Scroggie has asserted that company operations will remain headquartered in Brisbane, with the company viewing itself as a proud advocate for the city’s development. 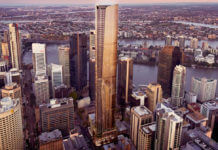 “NEXTDC has been headquartered in the confident, future-looking City of Brisbane since the company was founded in 2010 – and we’ve been thriving”, he said. The DA number for this development is A004442362.